This is a PDF crochet pattern for a sweet Valentines purse! Every little girl needs one of these to carry around her treasures! 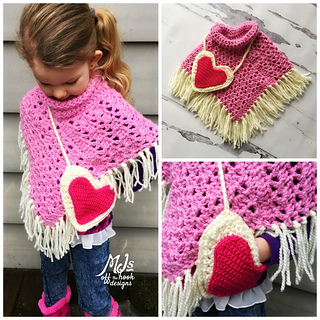 This is a quick and fun pattern suitable for beginners. I’ve posted this pattern on my blog for free and I’ve also included a video tutorial! 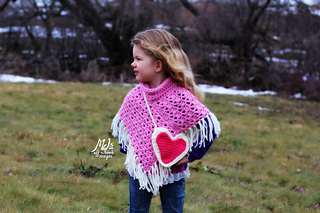 This purse goes perfectly with my new soft and cozy Lace fringe Poncho!